It used to be thought that no single person could rule the mean streets of Glasgow. Arthur Thompson proved this to be wrong. From an ordinary working-class family, Thompson started out as a bouncer and minder. Hard yet bright, he learned quickly. Cross him and you'd be scarred. Cheat him and he nailed you to the floor, crucifixionstyle. The gangsters of Glasgow thought it couldn't get any worse - it did. For forty years, Thompson ruled Glasgow and there came a time when his capacity for violence became so boundless that people would pray to be crucified. This fully revised edition of The Last Godfather visits places no law-abiding person has been. The gunrunning, murders, drug dealing and torture are all still there but there's much more - atrocities like how he improved on crucifixion as a means of revenge, how he created Europe's Tartan Mafia, how he invented concrete boots as a failsafe way of disposing of enemies' corpses. Then there are the ways he has had an impact on the lives and, more importantly, deaths of others - one man killed by a sniper, another kidnapped in London and tortured for days in Glasgow. Thompson died of natural causes but his influence didn't stop at his grave - which, incidentally, was deliberately left unmarked in case someone he'd had a run-in with decided to dig him up and wreak some kind of horrible revenge. 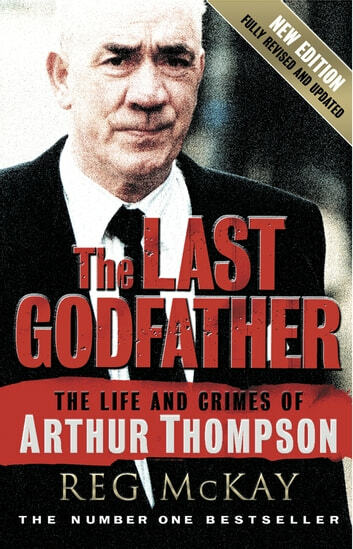 This new edition includes previously unexplored aspects of Thompson's legacy and investigates the reasons there could never be another gang lord as all-powerful as Arthur Thompson - why he was destined to become The Last Godfather.